I know they say you shouldn’t get a puppy at Christmas time but….at a meeting in London the other day I was offered the chance to have a 12 week old puppy for a few weeks over the holidays to provide new things for him to see as part of his preparation for learning to be a “diabetic alert and response dog”. Well I couldn’t say no, could I? 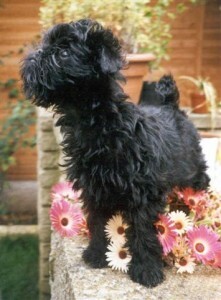 Paul and I are going to meet Denise Hayes tomorrow to collect little “Eddie”. Dusty, our boaty coalman, has just rung to see if we would like to give a home to “Little Legs” a 9 year old Corgi x Jack Russel. The owner’s new job means that the dog will be left alone for long periods of time. We will have a look and see what we can do….but only after Eddie has gone back. More news and lots of photos soon. This entry was posted on Friday, December 12th, 2008 at 4:05 pm and is filed under Uncategorized. You can follow any responses to this entry through the RSS 2.0 feed. You can leave a response, or trackback from your own site.